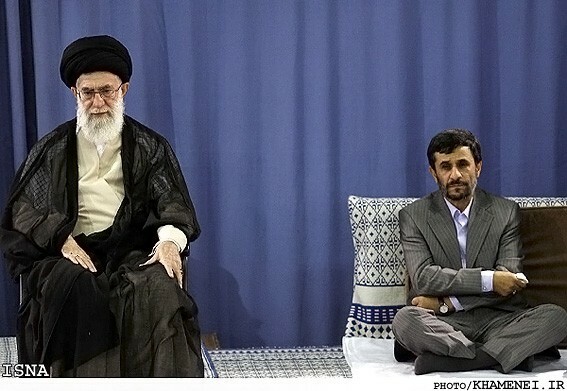 Both Iranian Supreme Leader Ayatollah Ali Khamenei (left) and President Mahmud Ahmadinejad have come out with strong words in the wake of the IAEA report on Iran's nuclear activities and rumors of Israeli plans for a possible attack. Western countries say they are considering how to raise pressure on Iran over its nuclear program in light of a new report by the UN atomic watchdog strongly suggesting Tehran is engaged in nuclear weapons development. Russia has ruled out supporting such a move, while Iran has rejected the document as baseless and its author, the International Atomic Energy Agency (IAEA) director general, as a tool of U.S. machinations. Iranian Supreme Leader Ayatollah Ali Khamenei meanwhile responded to speculation of a possible attack on Iran's nuclear facilities on November 10, saying that "any kind of threat and attack or even thinking about any [military] action will be firmly responded to." State television also quoted Khamenei as saying the country would defend itself with "iron fists." French Foreign Minister Alain Juppe said the seriousness of the IAEA report warranted a meeting of the UN Security Council. On top of existing UN, U.S., and EU sanctions, Juppe said Paris stood ready to adopt sanctions on "an unprecedented scale" if Iran refuses to abide by the demands of the international community. German Foreign Minister Guido Westerwelle issued a similar warning in Berlin. 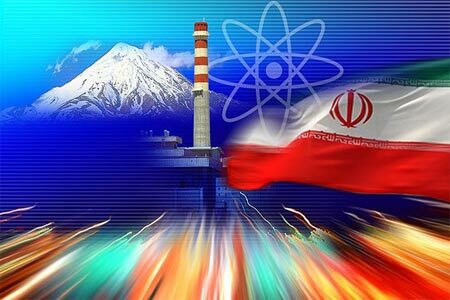 "If Iran further refuses serious negotiations about its nuclear program, new and strict sanctions will be unavoidable," Westerwelle said. "The way of definitive and broadly applied sanctions is the right way. We reject any discussion of military options." The comments were echoed by British Foreign Secretary William Hague, who told Parliament that Britain was "looking at additional measures against the Iranian financial sector, the oil and gas sector, and the designation of further entities and individuals" involved with Iran's nuclear program. In its leaked report on Iran, the IAEA said it has information indicating the Islamic republic has carried out tests "relevant to the development of a nuclear explosive device." This was the first time that the UN agency has directly tied Iran's nuclear program to weapons production. Iran remained defiant, with President Mahmud Ahmadinejad saying his country "will not budge an iota" from its nuclear program. In a speech addressing thousands of people in the central city of Shahr-e Kord and broadcast live on state television, Ahmadinejad said the UN's nuclear watchdog discredited itself by siding with "empty" U.S. claims that Iran was seeking to develop nuclear weapons. "Why do you damage the agency's dignity because of America's empty claims?" Ahmadinejad asked. "It will be in your interest to be a friend of the Iranian nation. History has shown that Iran's enemies have not tasted glory and victory." In Brussels, Maja Kocijancic, a spokeswoman for EU foreign policy chief Catherine Ashton, told RFE/RL that the IAEA's report "seriously aggravates existing concerns on the nature of the Iranian nuclear program." Ashton represents six world powers -- Britain, China, France, Germany, Russia, and the United States -- in stalled negotiations with Iran. A request for comment from the IAEA was declined. A spokesperson said Director-General Yukia Amano plans to speak to the press next week, when the report is released publicly. In Washington, White House spokesman Jay Carney said almost nothing about the IAEA findings in his daily briefing to reporters, in keeping with the Obama administration's decidedly muted response to the report's release. Asked if President Obama is considering additional sanctions against Iran, Carney downplayed White House discussions. "He's been briefed on it and it's been discussed here," Carney said. "I don't have any other conversations to report or any predictions to make about steps that we might take in our efforts to further isolate and pressure Iran to change its behavior in regards to its nuclear program." The path to more UN sanctions on Iran could be complicated, however, with Deputy Foreign Minister Gennady Gatilov saying: "Any additional sanctions against Iran will be seen in the international community as an instrument for regime change in Iran." Gatilov told Interfax news agency that such an approach was "unacceptable" to Moscow, and that dialogue was the only way forward. Earlier, Chinese Foreign Ministry spokesman Hong Lei said Beijing was studying the report, adding that "avoiding fresh turmoil in the Middle Eastern security environment is important for both the region and for the international community. "The IAEA should adopt an impartial and objective stance and actively work on clarifying certain issues with Iran through cooperation," Hong said. "The Iranian side should also demonstrate flexibility and sincerity and engage in serious cooperation with the agency." In its first comments on the report, Israel urged the international community to stop Iran from getting nuclear weapons. A statement from Prime Minister Benjamin Netanyahu's office said, "The significance of the [IAEA] report is that the international community must bring about the cessation of Iran's pursuit of nuclear weapons, which endanger the peace of the world and of the Middle East." Earlier this week, Israel, which is widely believed to be the Middle East's only nuclear power -- though it has never acknowledged it -- said all options to stop Israel were on the table, including a military strike. Tzipi Livni, a former Israeli foreign minister and head of the main opposition Kadima party, said that Israel "expect[s] the international community, the free world, to stop Iran and prevent Iran from having a nuclear weapon." "Now after the [IAEA] report the facts are clear: the world knows where Iran is going and the world needs to stop Iran. Iran threatens not only the interests of the free world but the values of the free world." Last week, Israeli President Shimon Peres warned that an attack on Iran was becoming "more and more likely." Is Netanyahu bluffing once again? Debunking the Iran "Terror Plot"